This workshop looks at the role of fascia and the dynamics and mechanics of the moving body; how the muscles rely on fascia for their information and how it responds accordingly to accommodate the required action. We will use movement to recognise this orchestration in action and to know where the tissue is inhibited; you will learn how to work with fascia to best effect free and efficient movement. Learn bio-mechanical integration, connected spatial movement, injury response and means for healing. 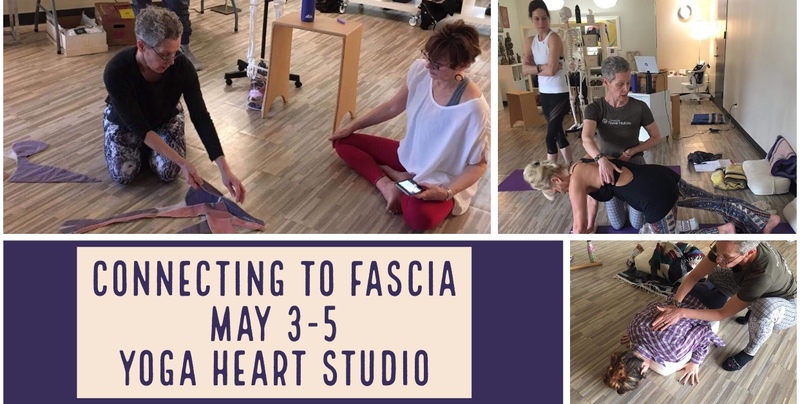 Connecting with Fascia is open to all movers and performance seekers and professionals and health influencers looking to work from this new paradigm. Identify and understand the required fascial continuities for the basic movement orientations. Learn to use the Thomas Myers’ Anatomy Trains map to guide you around the fascial body. Recognise fascial imbalances, strain and habit patterns that in time become symptoms, syndromes and conditions. Learn to feel sense and effect the organisation of the ‘subtle body’ through movement. Learn a new sensory language that will free and enhance movement. Learn to “restore to reset” neuromyo fascial continuities which influence performance and well-being. Connecting with Fascia looks at the way fascia is hard wired to respond to every moment, adapting accordingly to allow us to move through our day. If the fascia is not available to sufficiently slide and shear as we move, movement is restricted and can be painful; the tissue adapts itself to the limitation and compensates to accommodate leading to strain patterns. Over this weekend discover how to identify these problematic areas of movement compensation and its causes, and feel the fascial pathways at play in your own body. Using Thomas Myers Anatomy Trains as a guide, you will learn basic bio-mechanical patterns to observe the fascial continuities and to notice and sense in yourself and others where they are lost or disturbed, how to reconnect and free them and in so doing enhance the efficiency of your every move. Joyce was first introduced to Pilates at Houston Ballet where she danced professionally for 10 years, retiring in 1995. Pilates helped her rehabilitate from serious injury, allowing her to successfully return to the stage and extend her career. She began her study of the Pilates method in 1998, and has continued to deepen her understanding through workshops with first generation teachers, Pilates Method Alliance Certification (Gold Standard, 2003), as well as the Pilates Center of Boulder’s Masters Program (2009). In constant search for more depth and greater possibility, Joyce is also a Yamuna Body Rolling practitioner with special focus on the foot and face, a Rossiter Coach, and an Anatomy Trains Associate Teacher. In 2013, she serendipitously crossed paths with Karin Locher as they were both assisting an Anatomy Trains workshop. She found Karin’s true embodiment of the myofascial meridians in their wholeness so mesmerizing that she invited her to introduce this work in the Houston area. Over the course of the following two years, Joyce successfully completed Spatial Medicine’s first Bridge to CPM held in the United States, and has continued on to join the international Faculty Team of Centre for Spatial Medicine. She shares her love of this work both at Pilates Treehouse, a fascial playground, and at Houston Ballet, using the inner spatial relationships of the body to heal and empower.